How I Gained It: Ignorance of proper nutrition, lack of exercise and stress eating. I wasn’t a fast food eater or a junk food eater, but I ate way too many calories. I was and still am a good cook who loves great food. Previously, when cooking, I’d never pay attention to the fat or calories I’d put into a recipe. I cooked for taste and taste alone. I’d go all day without a meal and then have a huge dinner. I’d almost never eat breakfast, or if I did, it would be a bagel and coffee eaten at my desk or on the subway. I’d use food as a drug to soothe me, as a friend, as a gift of love to my friends and family, to entertain me when I was bored or as a creative outlet. My life revolved around food, food TV, magazines, cooking, eating out and entertaining. 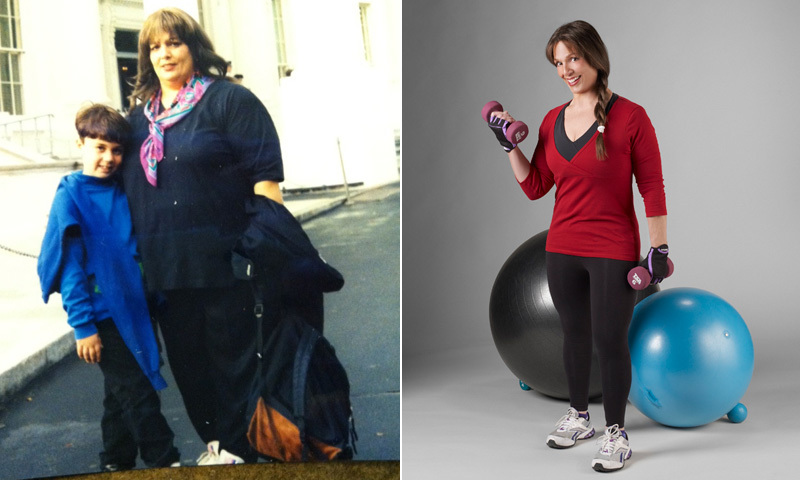 Breaking Point: I was 315 pounds at 54 years old! I was sleeping 18 hours a day! How I Lost It: Rethinking my relationship with food, learning what and how much food to eat to properly nourish my body, engaging in regular exercise and using my BODYMEDIA armband. I had to face the fact that food is fuel for my body and should be consumed carefully and mindfully. I forced myself to find other ways to entertain myself when I was bored and redirect my creative energies. I had to examine why I was turning to food, determine what satisfaction I derived from food and look for ways to find the same satisfaction in other activities that were aligned with my new goals. Now, I have found many simple ways to continue to eat the foods I love but with modifications in the recipes or cooking methods that lower the fat and calories of the dish without sacrificing flavor and texture. I balance fat, carbs and proteins, rather than consuming a meal entirely composed of carbs and fats. I eat 200 to 300 calorie meals six times a day. I don’t deny myself anything. I just make sure I work it into the parameters I have set for myself. I decide how I want to spend my calories for the day. If it’s my birthday, and I want chocolate cake, I’m going to have it. All during my weight loss, I ate chocolate everyday. Not knowing anything about exerise equipment, I picked one I thought would be fun and got on. It was an elliptical trainer, and I lasted maybe one minute before I thought I was going to have a heart attack. I was very fortunate to meet a personal trainer that day who guided and encouraged me every step of the way. He believed in me then, and is still my trainer today. I decided to make time for exercise in my life five days a week, including one personal training session for resistance training, one additional resistance training session on my own and five days of cardio for 30 minutes each. I stuck with that program for 18 months. I began to know the exhilaration of the “runner’s high” we hear about. I started to see results, which motivated me to keep pushing myself. My workouts now consist of compound body weight exercises, TRX and lots of cardio, but I love it. I’m adding things like Zumba, yoga, balance and agility training. I love to challenge my body and savor the victory. Exercise is my escape, tension relief, creative outlet. 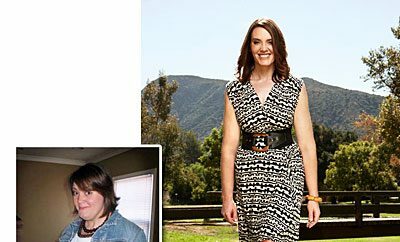 Once I had made this total transformation, I knew I had to share this with others. I enrolled in the American Council on Exercise’s personal training certification course. Following that certification, I furthered my studies with ACE by enrolling in their Health Coach program. My clients love the fact that I know what it feels like to not fit in an airline seat or down the aisle of the plane or how hard it is to climb a flight of stairs or to wonder if that chair is going to collapse. I am on a mission to let people know that you can live a healthy, satisfying, full life if you really want to put in the effort to eat properly for your body and learn to move in ways you enjoy. I can’t imagine ever going back to the old bad habits I had.